Bill Monroe Name and Assets Up For Sale. 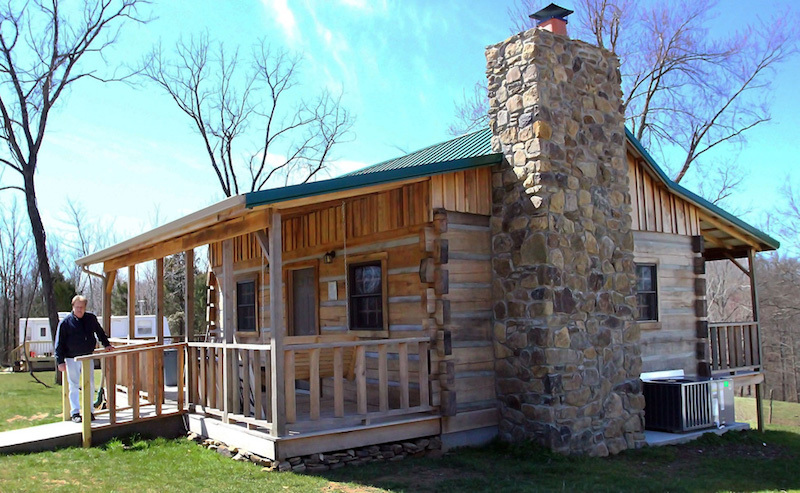 Bill Monroe’s Name & Likeness, Uncle Pen’s Cabin, and more being offered for sale. Fans of the “Father of Bluegrass Music” have a unique opportunity to own the rights to the name and likeness to Bill Monroe. Regarded as the man who started the format, Monroe joined the WSM Grand Ole Opry in 1939, and was a member for almost six decades – until his passing in September 1996. One of the few members of both the Country Music Hall of Fame and The Rock and Roll Hall of Fame, Monroe’s musical legacy included legendary stints on Columbia Records and MCA / Decca, with whom he was associated for forty years. Monroe cast a shadow over music by influencing a wide variety of musical artists. I’d still rather listen to Bill and Charlie Monroe than any current record. That’s what America is all about, to me – Bob Dylan. In all of history, he’s the biggest single influence in Country Music. And, he didn’t just influence Country Music, he influenced music in general – Ricky Skaggs. Offering the name, image, and likeness of such an American icon is something that is both an honour and a privilege. “While at Buddy Lee Attractions, I was the agent for Bill Monroe for over ten years. I thought of Mr. Monroe as a national treasure. He was like a grandfather to me. We were good friends,” says Tony Conway. The ownership also includes rights to the name “Blue Grass Boys,” which was the name of Bill’s band – a who’s who of greats that over the years has included Flatt & Scruggs, Gordon Terry, Mac Wiseman, Del McCoury, and Stringbean (David Akeman). In addition to the name and likeness offering – also available are the rights to the BillMonroe.com website, fans can also own several exciting parts of the Bill Monroe legacy – beginning with the historic Uncle Pen’s Cabin in his hometown of Rosine, Kentucky. A home that has special significance in the history of Bluegrass Music, it’s where young Bill went to live with his Uncle after the passing of both parents in 1927. As the only child among his siblings who went to live with Pendleton Vandiver, Monroe received an education about the music of the area from his Uncle through the historic fiddle tunes he would learn – a musical legend that he would eventually take to stages around the world. Bill left the home in 1929, but the music he was exposed to would take hold. Monroe crafted the iconic “Uncle Pen” as a tribute. Over the years, the song was covered by artists such as Hank Williams, Jr., Buck Owens, and Ricky Skaggs – who made it the first Bluegrass song to top the charts in over two decades in 1984. The song received a BMI Award for over one million plays. The home has been in the Monroe family since Bill’s son James bought it in 1973, building the cabin with the original logs. Over the years, many of Bill’s contemporaries have visited the site, including Don Reno, Jimmy Martin, and Lester Flatt, and thousands of Bill’s fans from around the world. 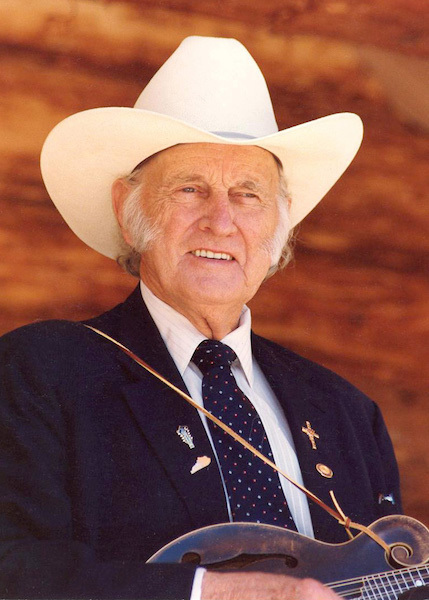 Also being offered in one separate bundle is Bill Monroe memorabilia and personal items, the likes of which has never been available – and will never be available to the public again. Included among the items are over 1,800 personal and business checks – including some written to Earl Scruggs, Ralph Stanley, and Johnny Paycheck; two knives and three wrist watches owned by Monroe, his back brace, social security card, ATM Card and Gas Cards, Christmas Cards, thousands of his personal papers and collectibles, suits, coats, shoes, ties, and even his Last Will and Testament. The collection also includes his own personal record collection, and one of his fiddles – which he kept for sixty-seven years (and has his initials inscribed inside of it!) and an extensive merchandise collection that includes T-Shirts and CD’s of Bill’s, son James’s, caps, 8 by 10 pictures, commemorative plates – and even his own mailing list, with over 10,000 addresses! But, there’s even more. There are well over 250 live recordings from Bill’s Bean Blossom Bluegrass Festival that will be offered in one exclusive package. Monroe started the festival in 1967, and it thrives to this day – fifty years after its’ inception. Over the years, performers who have played Bean Blossom include Blue Highway, Chris Hillman, J.D. Crowe & The New South, John Hartford, Patty Loveless, and Rhonda Vincent. And, then….there’s parts of the famous Gibson 1923 Lloyd Loar that is on display at the Country Music Hall of Fame. An extra set of tuning keys and a bridge that was replaced. These items from the most famous mandolin in the world are priceless. This is going to be a private opportunity of historic proportions, and there will be interest from buyers around the world. Interested parties should contact Tony Conway, Conway Entertainment Group, the exclusive agent for the Bill Monroe Estate, at 615-724-1818 for more information.